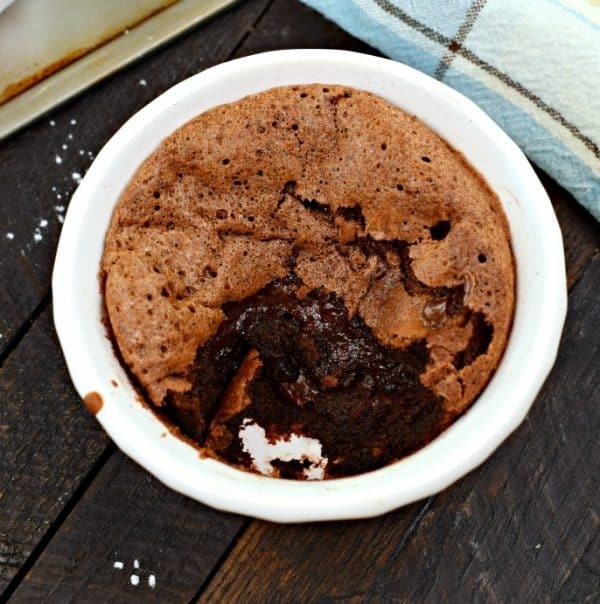 Rich and fudgy, these Individual Molten Chocolate Cakes are the perfect recipe for dessert! 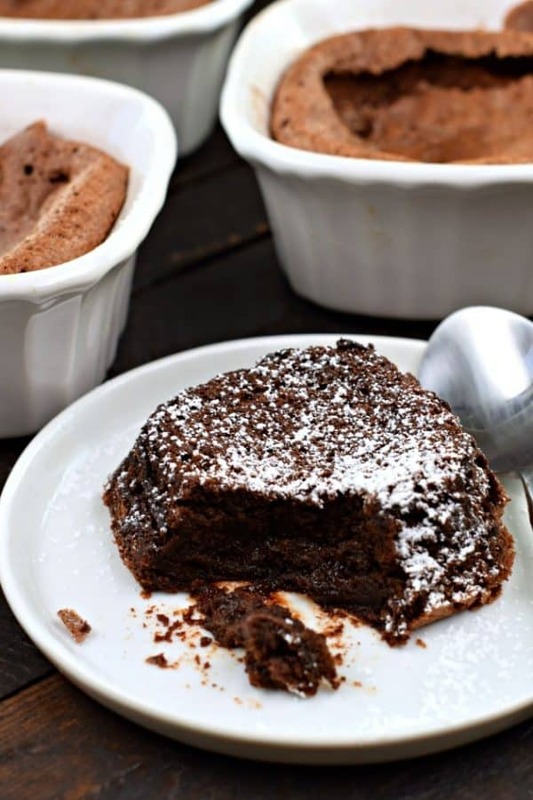 Whether you are feeding your family, or having guests for dinner, this easy, decadent treat can be made ahead of time and served warm with chocolate ice cream! When you’re out traveling the world on a Princess Cruise, it’s a good idea to alternate between days of walking, with days of relaxing. Our day in Costa Maya (you can read about it here) was awesome. We hiked, we climbed, we walked. But, after a day full of walking the Mayan Ruins, we were so excited about our day in Cozumel. 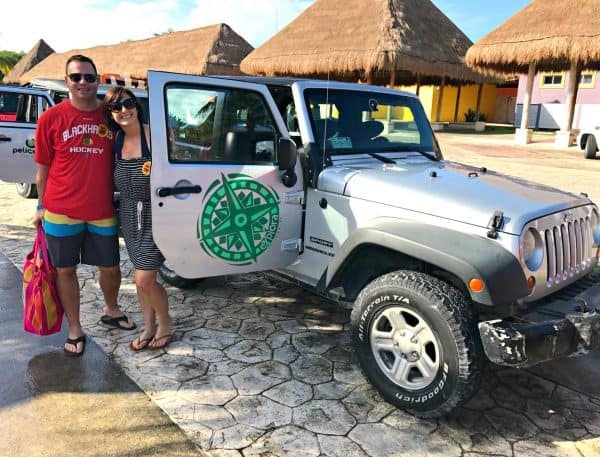 What’s not to love about beautiful beaches, lush green scenery, tacos and fajitas, and a jeep full of friends? For today’s adventure, we chose a Jeep and Snorkel Excursion from the list offered through Princess Cruises. It sounded adventurous, yet relaxing enough with some beach time! Unfortunately, as we got ready to head out on our adventure with our “familia” we learned that the water was a little too rough for snorkeling. This was a blessing in disguise as it gave us more time to eat tacos and enjoy the white sand beaches! 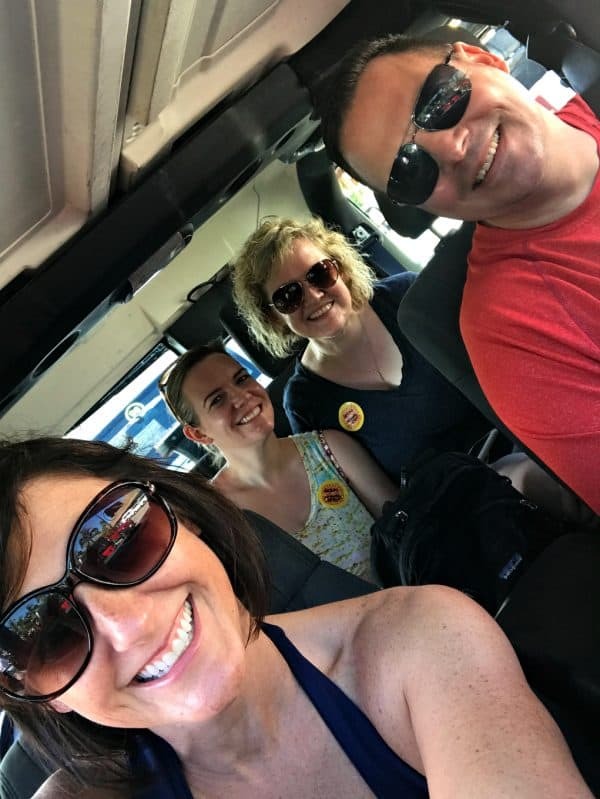 My husband (Michael, aka Miguel, for the day) volunteered to be our driver, and we were joined by my blog friend, Mary, and her fun sister Jenny! It ended up being the perfect day. We cruised around the island, and drove deep into the jungle to the village of El Cedral. 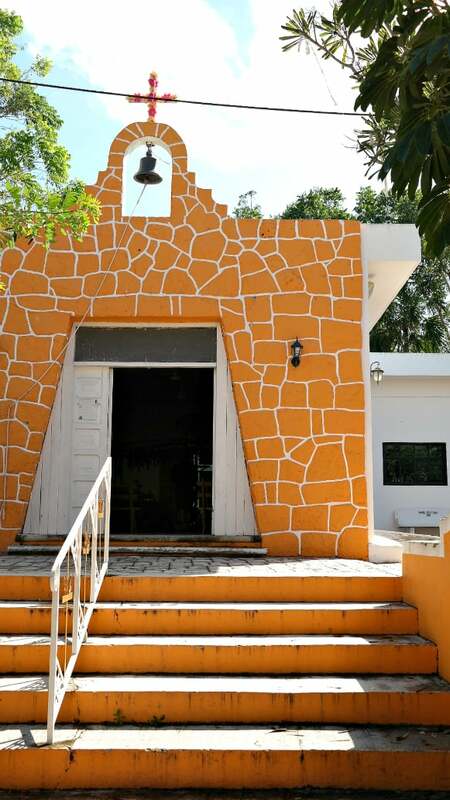 We explored the island’s first Catholic Church, which was built beside a 2000 year old Mayan ruin! 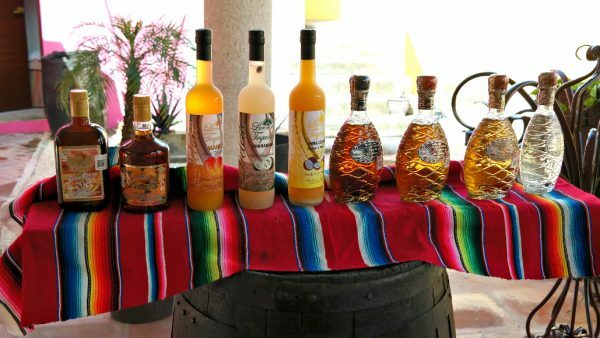 Shopped in the little village markets, and even participated in a tequila tasting. Which, don’t gag, this was seriously the best tequila I’ve ever tasted. I even bought some and brought it home! From there we drove around the island, with the turquoise blue Caribbean view on one side of the jeep and the lush unspoiled terrain of the island out the other side. 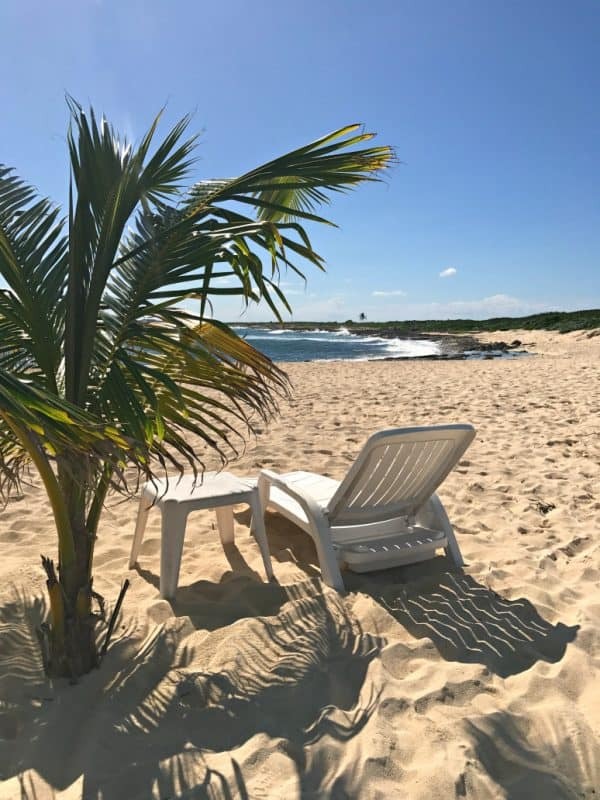 We stopped for a delicious Mexican lunch (of course I was too hungry to snag a photo)…and then relaxed at a private beach! 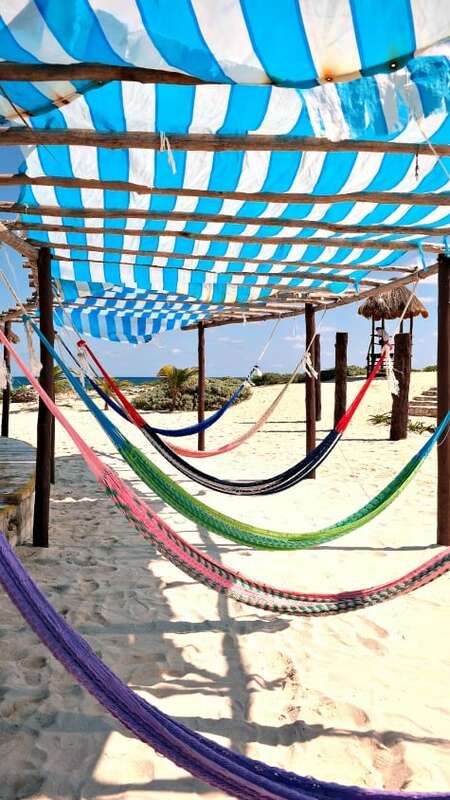 Not gonna lie, the hammocks were quite comfortable! Sunscreen. Even on the cloudy days my skin was catching UV rays! Bug spray. Mosquitos in the jungle are a real thing. 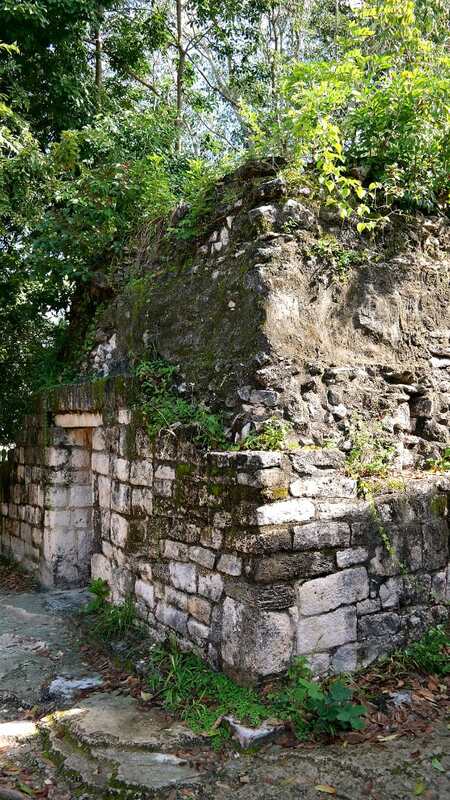 If I were to do the excursions again with the Mayan ruins, I would bring and wear longs pants and shirts! Water. Because hydration is important 🙂 On Princess Cruises you can order cases of water and have them waiting for you in your cabin upon arrival! Comfortable shoes and a satchel or bag. I mean, you’re going to buy trinkets, souveniers, and tequila, so make sure you have a way to carry it all! The best part of cruising? Heading back to the ship for some good food! We enjoyed some delicious steak in the Crown Grill. The different flavors of salt they provide make it even better! Of course you all know my favorite part is dessert. 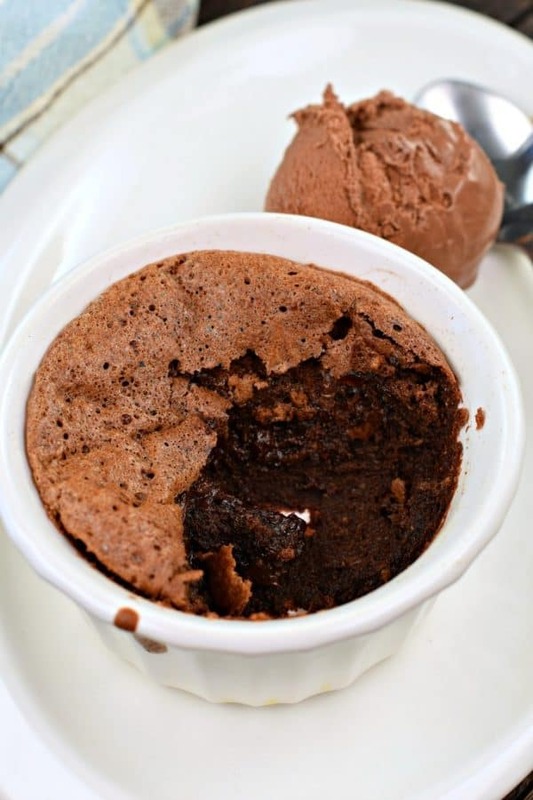 We enjoyed molten chocolate cakes with a scoop of chocolate ice cream. Incredible. I had them on my last Princess Cruise and I couldn’t wait to order this dessert again! Don’t let this unassuming looking treat fool you. What I love is that the center is more like a rich fudgy brownie that is a tad undercooked, if that makes sense. Served warm with a scoop of ice cream is the way to go with this decadent dessert. I should add, this is also a great idea to make for guests. You can make these ahead of time (without baking them) and have them all prepped and ready to go in the oven. 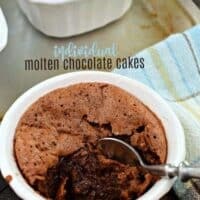 While you sit down to dinner, pop a tray of these Individual Molten Chocolate Cakes into the oven. Not only will they smell amazing and entice your guest to indulge in dessert, they’ll be ready to eat when dinner is over! Now, where will life lead you next? If you’re looking to book an amazing adventure like my Western Caribbean Cruise, be sure to start your planning here! Preheat oven to 400°F. Spray eight 6-ounce ramekins with baking spray. Place them evenly spaced on a baking sheet. Set aside. In a double boiler, melt butter and chocolate together (you can also do this by placing a heatproof bowl set over a pan with 2-inches of simmering water). Stir until smooth. Remove from heat. In a large mixing bowl, with whisk attachment on an electric mixer, beat eggs, extra egg yolk, sugar, vanilla, and salt on high speed until the mixture triples in volume. Color will be very pale, and usually takes about 5 minutes! Add chocolate mixture, and sprinkle flour on top. Gently fold everything together until blended. Fold in chocolate chips. Scoop (or ladle) batter into prepared ramekins. You can refrigerate this for up to 8 hours (return to room temperature for about 30 minutes before baking). OR, bake immediately. Place on middle rack in preheated oven for 12-14 minutes, until cakes have puffed up and there is a thin crust on top. The center will be slightly jiggly. Remove from oven and serve hot! If inverting, run a thin knife around the inside edges of the ramekin to loosen the cake. Invert onto a serving plate and allow the cake to release itself from the ramekin (mine popped out immediately, but it could take a minute). Remove ramekins and sprinkle with powdered sugar if desired. I serve mine in the bowl with a scoop of ice cream! ENJOY! Love the idea very much ! Thank you and enjoy the weekend ! kosher salt?? Can I use normal salt? Use half as much salt if using table salt. Kosher salt is a little more coarse. Cake for one? Yasss! Going to try this ASAP. You must try them, perfect for a dinner party! I don’t have ramekins !! Can I use muffin tins ?? Silly question for you. 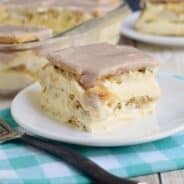 Is it possible to halve this recipe? And, if so, do I halve it exactly, ingredient for ingredient? I simply don’t need eight. Thanks! 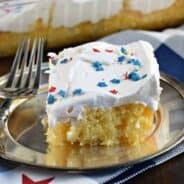 My kids love eating this for dessert. It’s so fun for them to have their own dish and dig in. Love it! 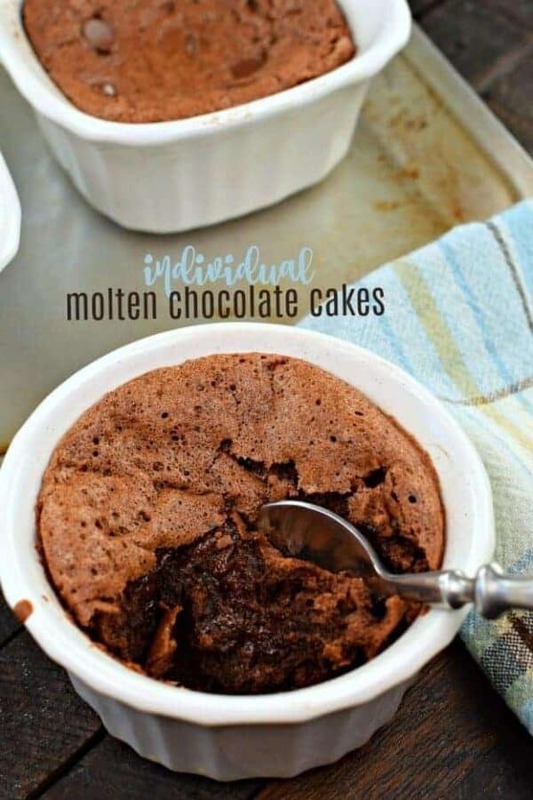 These are so decadent – I love them! 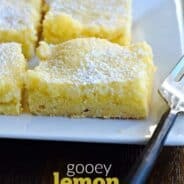 My kids love that they all get their own serving, and they are fun to serve to guests as well. I definitely need vanilla ice cream with mine. So good! This was shockingly easy – and SO delicious! Yum! So easy and delicious. These are the perfect mini sweet treats! Must try soon!